Adding fish to babies’ diets during the first year of life might reduce their risk of asthma later on, a study by Dutch researchers suggests. This window of protection appears to occur between 6 months and 12 months of age. Adding fish to the diet before that or not at all in the first year seems to carry an increased risk of wheezing and shortness of breath, the researchers said. “This study provides insight into what the optimal timing of introduction can be for fish,” said lead study author Jessica Kiefte-de Jong, from the pediatrics and epidemiology departments at Erasmus Medical Center in Rotterdam. “The results may assist health care workers about the recommendations regarding the introduction of complementary feeding in infants,” she added. Pediatricians may not agree with the findings, however. One expert objects to feeding children fish at such a young age because of potential harms. “I have never heard that fish is a preventive against asthma,” said Dr. Antonio Rodriguez, director of pediatric pulmonology at Miami Children’s Hospital. This is why fish is not fed to infants, he said. Kiefte-de Jong agreed that before parents start introducing fish to their infants these findings need confirmation in a real clinical trial. She also said the researchers aren’t quite sure why eating fish at this age might benefit children’s lung health. For the study, published online Nov. 12 in the journal Pediatrics, the research team collected data from a population-based study of more than 7,200 children born between April 2002 and January 2006 in Rotterdam. Reviewing questionnaires on overall diet, the researchers looked at when parents introduced fish to their infants’ diets. 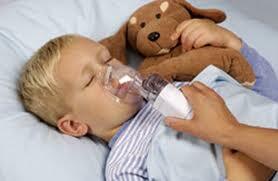 They also looked at symptoms of asthma that developed at ages 3 and 4 years. Children who started eating fish at 6 to 12 months had a significantly lower risk of wheezing when they were 4 years old compared with children who began eating fish later, Kiefte-de Jong’s group found. For children who started eating fish earlier — or not at all — within the first year, the risk for wheezing increased at 4 years, they noted. The risk of shortness of breath increased slightly as well. The researchers acknowledged that other factors besides when the children started eating fish might have influenced the children’s breathing ability at preschool age. And the study did not prove that the introduction of fish during the first year of life prevented asthma later on.